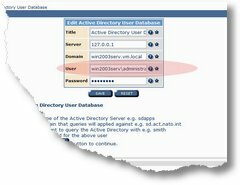 Since a customer is looking into upgrading his WISE 1.1 installation I was asked to confirm the availability of active directory as a userbase in WISE 1.3. But seriously… I put up a win2003 Server out of the box on a VM and added a group wiseuser as well as a new user michaelmaass to the directory. 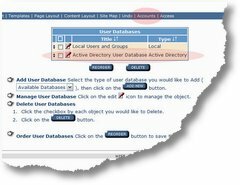 After installing WISE 1.3 build June 2nd 2009 (in this case on the same machine) I was able to add an additional Account (aka userbase) to the WISE usermanagement. There is an option of three types. and ended up being able to assing WISE Roles (Siteadmin, Manager, User) to these on a WISE container. So for starters this looks like a winner in Single Sign On. We now only have to do all the usermanagement in active directory and make heavy but structured use of hierarchical grouping. as allways: WISE things to do…. This entry was posted in english, WISE 1.3. Bookmark the permalink.